We know that often our staff can make a huge impact on the patients and colleagues that they come in to contact with, whether through an act of kindness or truly going the extra mile to do something with care and compassion. The Excellence Awards give patients, families and colleagues the opportunity to say thank you and celebrate excellence. Click here for more information. The following individuals and teams are to be congratulated on winning or being shortlisted at regional and national level. Sian Dennison – Winner of Excellence in Cancer Care in the NHS70 Parliamentary Awards. Immunology Team - Person-Centred Care Champion Award in the NHS70 Parliamentary Awards. Jamie Read - Care and Compassion Award in the NHS70 Parliamentary Awards. Joe Rahamim - Lifetime Achievement Award in the NHS70 Parliamentary Awards. 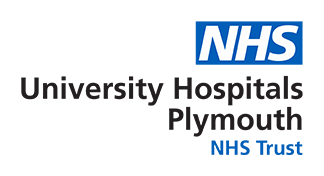 South West Anaesthesia Research Matrix (SWARM) - Winner in the Trainee Network category of the Royal College of Anaesthetists (RCoA) and Clinical Research Network Awards. #letsbeopen – Winner of Gold for ‘Healthcare Campaign’ and Silver for ‘Not-For-Profit Campaign’ at the Chartered Institute of Public Relations (CIPR) South Awards. Peninsula Motor Neurone Disease Care Network – Shortlisted for ‘Most Effective Adoption and Diffusion of Best Practice’ at the Health Service Journal (HSJ) Awards.